Grown men are all too familiar with shaving. Be it wet or dry they don’t falter one bit. Shaving facial hair is a routine work for us. But what about our head? We all know people love to shave off the hair on their head these days. But shaving our heads is a different beast altogether. One must maintain constant control over the razor. The ideal tool for shaving must abide by the unique contours of our heads. The device must adapt to the different skin type as well. You can’t expect all these things from an ordinary razor, can you? One needs the best head shaver he can get. These things are unique products that are hard to differentiate from ordinary ones. That’s why we need this article giving you a status report on top skull shavers. A buying guide about how to get one of these will also help. So, hop on! Why A Specialized Head Shaver? How to Choose the Top Head Shaver On Your Own? I gave you the answer already! A regular razor or shaver is great for our face. It goes well with the contours as well. But when it comes to our head, the skin type and structure are different. Normal shavers or trimmers have straight blades. Head shavers have curved ones. Curved blades cover more territory and hair than others. Shaving experience is thorough and painless. Normal shavers have handles that are suitable for certain gripping styles. We can see our faces. Thus, we move our hands efficiently without hurting the skin. With the head its different. There are parts we can’t really see (like the back of the head). That’s why people require shaving machines that have different handles. People can grip them using their fingers or an extender. It allows them to safely navigate these things without causing nicks and cuts. A shaving kit for the head offers more options to people than a standard shaver. You have more combs, different sets of blades, oiling kit, and more. These combs and blades can be used to grooming your hair. 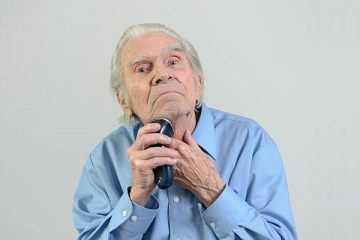 There are models that provide trimming combs to size up hairs behind your ears as well. Normal facial hair shavers won’t give you these many options. You don’t need them to manage your beards. This is a tough spot for me. With so many products around, I can’t really choose a favorite. So, here’s the next best thing! I’ve compiled a list of the shaving/trimming tools that I’ve used. Of course, there will be a brief account of my experiences with them. The list represents the best machines in my experience. It is not in any specific order. If you are new to the idea of skull shavers, this one will help you get your head around things. 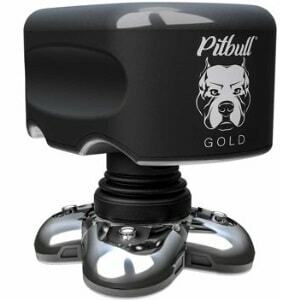 Pitbull gold shaver is the third iteration of this line of products from the manufacturers. Honestly, this is a vast improvement compared to previous installments. Let’s dissect why. The makers ensured a durable product with the “Gold” edition. The design features a significant improvement. It reflects onto the performance. Makers gave the credit to the new production facilities and state-of-the-art testing methods they implement. Why am I calling this a definite improvement? I could use it while taking shower in my stall. This thing comes with an IPX rating of 5. Meaning, it’s moderately water resistant. People can take care of wet shaving without any hitches using this device. Besides shaving the skull, Pitbull Gold Shaver is also useful when it comes to shaving facial hair. The blades are sharp but too aggressive like most of the models out there. They won’t cause friction and skin burn while shaving our heads and chins. If you want stats, this thing comes with 10% larger blades than previous iterations. It allows blades to cut more hair than usual. The motor uses 22% larger torque gear than its predecessor. As a result, people get more power when cutting through coarse hairs. Each of these blades can articulate 33% more than the previous versions. This results in better conformity along the face-lines and a smoother shave than normal. Oh, one can shave facial hair as well as his head with Pitbull Gold Edition head shaver. However, there’s a tiny catch. One has to use shaving creams when wet shaving with this head shaver. Gels are sticky and can clog its blades when used. You’re shaving your head dudes. Heads aren’t worth the risk of using shaving gels. I love the design of the handle. It’s not only a handle per say. It feels like an extension of my arm. This thing allows you to grip the shaver in different styles and gripping positions. As a result, people can quickly reach for the hard-to-reach and uneven areas of the head. This thing can work as a head shaver AND a facial hair shaver at the same time. The blades are bigger than the previous models and can cover more area to cut more hair. These blades can conform to our facial structure better than that of the normal shavers. The handle of Pitbull Skull Shaver works like an extension and people can grip it in different ways. The head shaver good for wet and dry shaving as it’s waterproof. You cannot submerge the razor under water. It has a low IPX ratings. Yes, Norelco from Phillips takes a spot in this list as well. As people can see, this one is a hair clipper and a shaver. That means, this thing can shorten your hair to your liking minus all the troubles that come with shortening hair at home. There are a number of attachments that come with the product to help you with hair maintenance. For example, you get a comb, cleaning brush, and of course, a power cord. Don’t worry, this machine features as many as 13 built-in settings to groom our hair. These range from 15mm to 1mm. The main benefit for me with this clipper is the fact that I don’t need to carry a lot of attachments with me all the time. If I want a certain length of hair, choosing a specific cutting length will do. I’ve seen many of my peers getting into uncomfortable positions just to tackle specific areas of their heads. They twist and turn their head so much that it starts spinning (no kidding). Thankfully, with Norelco QC5570/40, you’ll have a spinning head with a comfortable handle. The head of this clipper rotates 180 degrees. This allows people to trim their own hairs without the help of professionals. Want to shave or trim hairs at an angle? Twist the razor head to your liking. This will also provide users a better reach than most trimmers out there. I noticed that this thing cuts more hair than any of its competition per turn. It’s safe to say that Norelco QC5570/40 DIY Clipper consistent. Whenever you cut the hair, you’ll notice that the edges are uninformed. It’s what I call a well-rounded finish. This is all thanks to the precision level that this trimmer grants. One can also trim up the sideburns thanks to this trimmer. People have the optional function of locking the comb to make sure that mustache and sideburns to be shaped according to our wishes. Worried about a sensitive skin problem? You have every reason to as most of us are. But the trimmer’s blades are rounded and are skin-friendly. I can say the same thing about the comb as well. One more thing about the blades uses should know about is that these blades are “Self-Sharpening.” You don’t have to work through the extra hassle. Philips Norelco QC5570 can be fully washed for an easy cleaning. This thing has the legs for a 60-minute runtime with an hour of charging. The stainless steel blades you see can sharpen themselves without external help of you and me. As with all the Phillips Norelco blades, this one is self-washable too. If you are looking for a skull hair clipper that’s friendly to your skin, this one will do just fine. The blades are rounded, you won’t feel hair sticking out when you’re done cutting hair. One can do wet or dry shaving for sixty minutes nonstop with one instance of charging. This is not exactly what I’d call a head shaver. It can leave very short hair on your skull when you’re done. When looking for the best head shaver, Remington HC4250 Kit is a great option. It lessens the hassle on our parts as is evident from the term “Shortcut Pro” in the name. How? Let’s find out! This is a tiny skull shaver. Remington HC4250 fits right into our palms. The compact size allows people to extend their reach and efficiently shave the back of their heads. Awesome! I liked the blades. These are curved and wide. Thus, these blades cover more hair than a trimmer of this price range. People will be able to cut more with less of an effort. The motor is fast and efficient. Thus, the blades can shave, cut, and trim hairs with ease. That’s right, one can also trim hairs on difficult places. These blades don’t pull, nag, cut or nick your skin. Stainless steel construction makes it easy for these things to cut through thickest of stubbles of hair on your head. The kit allows users total control with as many as nine combs. All of these are of different lengths. These allow users to cut their hair according to their preferences down to the finest detail possible. If you’re worried about gripping this thing, don’t sweat. The handle is comfortable as well. People will have the rubber grip to contend with. This allows sweaty hands to grip Remington Shortcut Pro properly. I’d keep it high on my preference list for wet shaving just for the handle. The little handle doesn’t tire me out even after a long hair-cutting session. The only beef I have with this Remington product is that the Li-On battery takes a long time to get charged up. It’s four hours. On top of that, this thing gives you a shaving time of 40 minutes. It’s more than enough to shave our heads. Yet, I feel, some of my readers will be ticked by this as well. I like the compact design. It fits the palm of the users’ hands without any discomfort. Rubber grip for the handle ensures smooth gripping and handling of the razor. The blades are super sharp and curved. They cover decent ground in each pass. People with a sensitive skin type will find this product beneficial as it doesn’t tug the skin. Remington HC4250 is very much washable under running water and it comes with a travel pouch. The recharging time is a bit too long. The razor takes about four hours to be completely charged. Battery provides you backup for 40 minutes which is less than Braun or Phillips products. Oh, hello…! Here’s another head shaver from Pitbull for my readers. This time, it’s Pitbull Platinum. As with the previous Pitbull model, this one has also been revamped. Users have better build quality with durable parts to contend with. Don’t forget the corrosion-proof parts they put in the mix as well. This one is okay with users going for wet or dry shaving. One can also use Pitbull Platinum when taking a shower. I must mention that it has a rating of IPX5 when it comes to water resistance. This means Pitbull Platinum can take a fair amount of water until it goes down silently into the night. Yet, like the previous Pitbull model on my list of best shaver for the head, it can’t take on shaving foams when wet shaving. I think it’s a curse for the brand. As always, foams can be sticky and can harm the mechanisms of the blades and the motor to a great extent. Use shaving creams or soaps instead. The trend of ergonomic handles continues. You have a handle that can extend twice its length. This comes handy when you want to shave the back of the head without twisting and turning. It’s amazing how “Just the Right” shaver can help people avoid uncomfortable scenario. This piece of tech features as many as 5 shaver heads with independent blades. These heads cover a wide area of our heads. One can go back and forth with these blades. Go circular if you so choose. Either way, people will get maximum output from this shaver with supreme control over the process. Yes, the cutters rotate and provide you with top-notch shaving experience. Having five blades means that people will have to spend less time to get the skull shaving done. The “Platinum Edition” has a familiar drive system. The drive here is 22% larger than what it used to be. As a result, blades (which are re-engineered for performance) have more torque and power to work with. As usual, the blades are 10% larger in size. Thus, the equipment covers more area of our heads. Yes, the improvement ratio in blade design is 33%. As a result, these things fit our hands better (if people don’t use the extended handle) and conform to it for better shaving experience. I liked the handle extension, it offered me multiple positions to grip the handle. The rotary blades are good options as well. They grant a fulfilling shaving experience. The drive system is even better than previous version resulting in increased motor power. This thing is easily washable and doesn’t require any cleaning agents. IPX5 rating grants this thing an easy pass in terms of water resistance and wet shaving in shower. According to the users, this Pitbull product is a bit pricy compared to what it has to offer. One can’t really use shaving foams while shaving with this piece of technology. The clue’s in the name. Bald Eagle is one of the few shavers which actually delivers on the promises it makes. 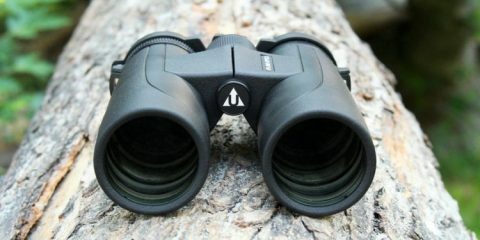 When testing this “Relatively Unknown” brand for this review, I found some intriguing benefits that matched a few of my earlier recommendations as well. For example, this thing is a cordless shaver. You get to shave your head without worrying about all the cable connections and the reach. The shaves are fast and smooth as well, unlike some models where you need to start, shave some hair, stop to check the quality of the shave, and start again. Like most of my recommendations, you have five large shaver heads with this one too. One can tilt this thing forward, backward, and even in a circular motion. 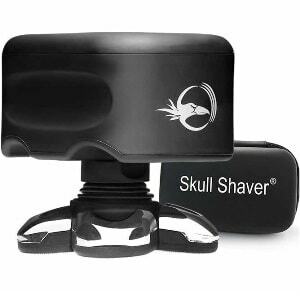 As a result, it’s able to comprehensively cover the areas of our skull, unlike cheap shavers. Worried about nicks and cuts, don’t fret. Each of these five heads is flexible. Each of these can move independently. It keeps the shaving comfortable. Also, you’re able to get a conforming shave without a strand of hair sticking out like a sore thumb on your head. Reaching tough spots is not a problem now. Bald Eagle is leagues ahead than Remington as far as battery performance is concerned. One full charge drives the battery for up to 90 minutes! One can shave two heads in that time. The battery recharges in quick time too! It takes this device 2 hours and 30 minutes to juice up. This is just under half the time Remington HC4250 takes to get ready. The handle is a winner on its own. It’s small and ergonomic. One can use it to extend his/her reach to the back of the head. People can use the handle in various ways. My favorite way of doing it is holding it between my fingers. By doing this, I can work with more freedom, flexibility, and range. This is a small tool that easily fits within the user’s hand for a comfortable grip. 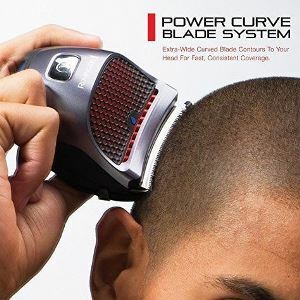 There are five heads in this shaver that can move independently unlike any of the previous models. The blades are sharp! In tandem with the moving heads, it’s easy to get a good shave in a short time. I found the charging time to be very short. It takes two and a half hours to be fully charged. 90 minutes of runtime is more than enough for people. If you’re skilled, you can do 3 shaves within the time window. Few of the users reported needing multiple passes to complete the shaving. Multiple passes required lathering and carried a risk of cutting the skin on the skull. 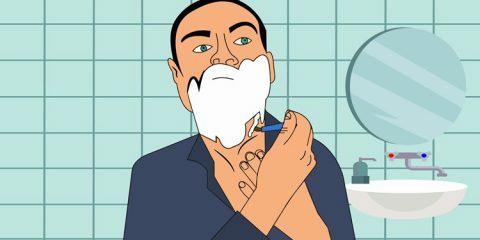 It seems like I’ve come across a handy trimmer in Andis T-Outliner in my search for the best head shaver models for this list. There is a heap of reasons why I’m rooting for this tiny device. For once, Andis trimmer works equally well for trimming beards as it does for the hairs on our heads. Secondly, this thing is properly oiled in its factory. This ensures the efficient functioning of the intricate parts inside. The makers also run a proper check that the parts function properly in the factory as well. The reason I call it a trimmer is the fact that Andis has sharp blades. Why wouldn’t they be? The blades are made of Carbon Steel Alloy These cut close and help you in shaping up the mustaches, the hair behind your ears, and sideburns. Of course, one can replace these blades as well. Replacing the blades may take time. But it’s easy compared to the other models. One has to make sure these things are properly aligned. The teeth of the upper blade should rest slightly under the teeth of the lower blades. Make sure to use a screwdriver while you are at it. It’s helpful to oil the blades regularly. Do it before, during, and after you’re done using this trimmer. Don’t assume that the blades are fixed in a position. 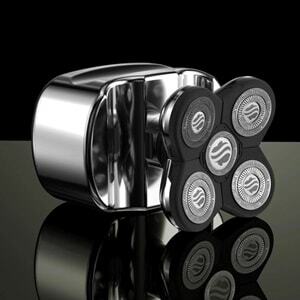 Expert shavers can adjust these pieces to enjoy a personalized shaving or trimming experience of suiting their preferences. The secret behind these T-Blades performing so well is the motor. It’s a high-speed motor that is packaged in a durable housing. Despite a large motor for its size, this thing nicely fits in our hands The Andis Trimmer offers a comfortable grip with a conforming design. The motor runs on magnetic principles. Expect it to be quiet when operating this device. The machine won’t heat up even if we run it for a long period. This is one benefit of owning a magnet-based trimmer. I’ve got just the one complaint about this device. It’s suited for dry shaving and dry shaving only. Not the wet kind. Well, considering the price, I’ll take it. Carbon-Steel blades of this thing are super sharp. They cut close and cut well. I could maintain a thin line and an impressive size ratio of my hear around the head, neck, and ears. You have a nice and small footprint to work with in case of Andis Trimmer. The size is great! One can adjust the blades to his/her liking when working with this device. I found the motor very quiet when working with this device. It won’t wake your loved ones up. Users won’t have the option of wet shaving with this trimmer. It doesn’t fare well in water. Frequently oiling the blades for performance is quite a task if you ask me. My hunt for the best shaver for head goes on and here’s the next contender on the list. This is Wahl Clipper. I know, many of my readers were expecting a model from Wahl. So, I chose this cordless hair clipper with a Li-ion battery that supplies power to it. Of course, it’s rechargeable. The good thing about Wahl is that the company makes its own blades. These are “Precision Blades.” Compared to all the standard blades of this franchise, the ones used in this clipper are 40% faster. These are sharp, to say the least. These parts are self-cleaning. That basically means the user won’t have to screw with the blades pre or post shave. If you thought Remington on this list had the most number of combs, you’re wrong. 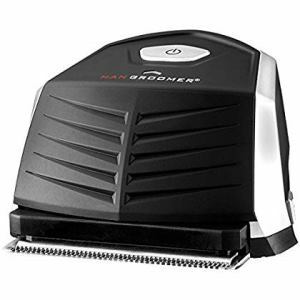 This little product features as many as 10 combs along with the main trimmer. There’s one for every occasion. I could shave my head or cut the hair to various lengths. The motor is a huge improvement as well. This heavy-duty powerhouse delivers 50% more power than what a standard Wahl motor would. While we’re comparing it with Remington HC4250, the battery MUST be discussed. This Li-ion battery features a quick charging option. One quick outing can give you the runtime for 10 minutes. Furthermore, one needs to charge this for 3 hours. This is one hour less than the Remington product. One full charge grants Wahl clipper a runtime of 2 hours. If you’ve charged it to its capacity and not using the product, don’t worry. This Wahl shaver holds the charge for a year before giving in. This is made in the USA. People have a fantastic product in their hands. But there’s a catch. It’s meant to use with the USA power outlets ONLY. If you are country-hopping for a vacation, it’s not the right product to take along for grooming your hairs. Thanks to the ease of use and super sharp blades, Wahl is considered to be the #1 hair trimmer around. This little product has a quiet motor which is 50% more powerful than a standard Wahl device. The amount of runtime we get out of this device is amazing. 2 hours enough for a complete shave. Wahl’s clipper is fit to be used professionally in any barbershop around the USA. 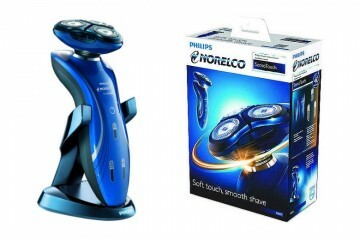 The product features blades with self-cleaning feature and 10 guide combs for convenience. This is meant to be used with the USA power outlets. The clipper won’t do well internationally. People don’t really talk about iFTiME head shavers. This baffles me. The company is quite good when it comes to grooming products. 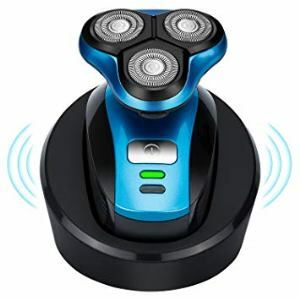 This Wireless shaving unit bears a sign of their craftsmanship and excellence to the fullest degree with a number of features and design perks. Upon buying this, you get a compact shaving unit. iFTiME ensures that people buy the real thing with “Anti Counterfeit” labels. Also, the main unit adjusts to any hand size with a comfortable grip system. Before getting to the blades, I want to give a small shout out to the no-slip grip of this shaver. Thanks to this, you can go about wet shaving while you’re in the shower. Worried about protection against water? Don’t be. This product here has the highest water resistant rating among my choices for this article. The rating is IPX7. 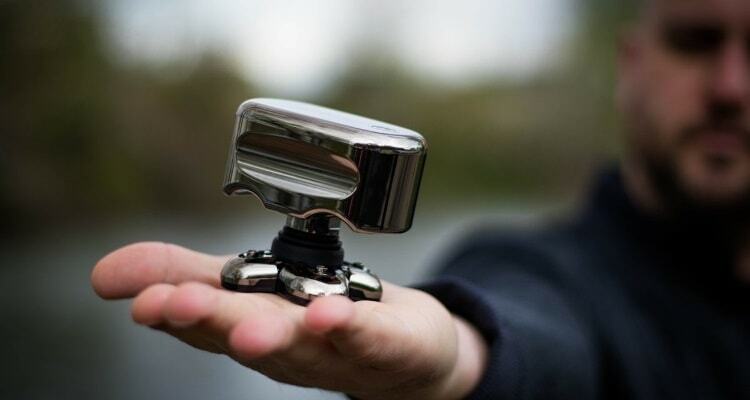 It’s safe to say iFTiME made this shaver quite able to withstand submerging in the water. Trust me, additional perks will mean nothing if your device has weak blades and a sub-par motor. iFTiME addresses the “Blades” part with three cutting heads. These heads move independently and in all three dimensions. Plus, this little shaver has double blade/knife nets that cut through hairs quickly. Thanks to the Loop system, iFTiME covers 50% more area while shaving than its competitors. Good news for the ladies, it can be used on legs, the pubic area, and on the armpits as well. The battery we get here is made of Nickle and Chromium. This franchise provides you wireless charging facility. Much like the newer iPhones, this thing comes with a charging dock. It sits there and recharges itself. One can use the USB cable option as well. Another bit of good news is that the company is planning on launching replacement blades soon! Don’t be worried if your blades are becoming dull. People will like the water resistance rating of IPX7 that’s as good as it gets in case of shavers. USB system and Dock for a charging session is very much convenient when looking for a quick result. 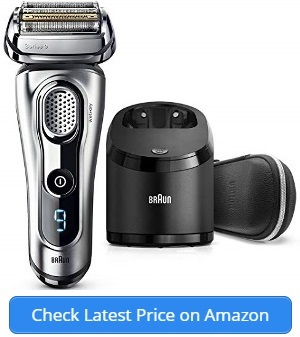 The shaving head and blades cover 50% more area than a shaver at this price would. This is a product that’s safe for the ladies to use on legs and armpits as well. Wet and dry shaving won’t be a problem with this piece of tech from iFTiME. I didn’t find any faults with this head shaver/trimmer at all. 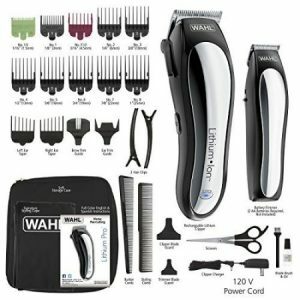 Loved my previous Wahl Clipper kit? This one’s even better! 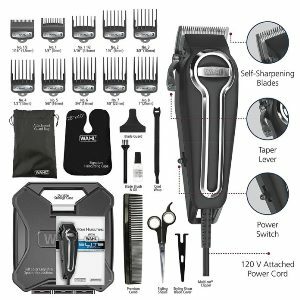 Say hello to Wahl Clipper Elite Pro! Why am I repeating myself with another product from the same manufacturer? Well, it takes all the features from the previous model, betters them, and adds more perks to the mix. For example, you get the “Precision” blades from Wahl. As you know, these cut well and close to your skin. Shaving the head is never a chore with these things around. Much of the cutting power is due to their sharpness. Thanks to the technology used by the makers, these blades remain sharp for a long time. Just make sure to oil these blades from time to time. However, the motor has a big part to play in the game as well. 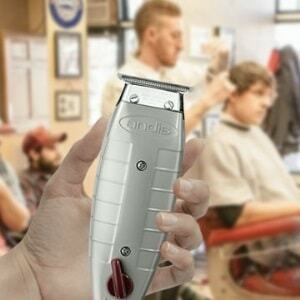 Wahl Clipper Elite Pro uses a corded motor for the job. This is better than all the standard motors. Thanks to the drive system, blades work 40% faster when compared with other devices from this manufacturer. Guide combs are bigger than the other models. They are 70% stronger than previous iterations as well. The sizes for these attachments are engraved in large letters. Thus, the user will have no difficulty reading them. Take note of the stainless steel attachment clip and use it to attach these combs. This is a “Corded” shaver. But don’t be disheartened. We have one of the best models in our hands. The 8-foot long cord is no muck when it comes to connectivity. It’s of industrial-grade. Meaning, you and I won’t have to worry about logistic failures anytime soon. I love the handle. It’s not too big. The size is just enough for us users to be comfortable with our grips. There’s a small On/Off towards the end part. The handle is ergonomic and nicely conforms in our palms. Elite Pro comes with a travel case. There’s a nylon bag inside for all the combs and cables You can take it anywhere INSIDE the USA. The makers made it while keeping the USA-style power outlets in mind. It may not work in other countries due to voltage differences. This is a compact system that helps you through the haircuts and/or head shaving. Womenfolk can use it to shave or trim hairs of other body parts as well. I liked the number of guide combs Wahl put in this Elite Pro. There’s one for every user. The blades are great as usual. They remain sharp and efficient for a long time. Corded products are great as there is no additional battery cost to bear every few months. This is a shaver without batteries. One cannot run it in areas without power. The best head shaver should eliminate the need for you to go to a barber shop. One should do all the things necessary while staying inside his house. I get that. MANGROOMER ULTIMATE PRO does exactly that while adding fun to the mix. The handle in this small trimmer is detailed! You have a rubberized cover that prevents slipping when in the shower. The handle is ergonomic. Long or short, this will fit every hand size. When testing, the easy gripping system allowed me to shave the front, back and the sides of my head with minimum effort. Thanks to all the combs, a user can cut his hair (or shave it off) in 9 sizes! The combs come in sizes of 1.5mm to 15mm. Want to shave the hair off? Take the combs off and shave with naked blades! When cutting the hair, I’d advise you guys to start from a longer comb size. As the hair gets shorter, switch to a shorter comb. 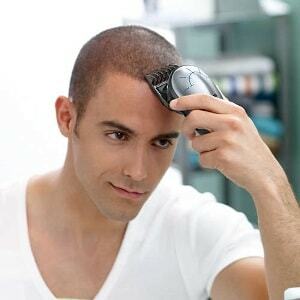 Extra-wide blades cut hair and shave the heads with maximum efficiency. They cover more of the head than normal blades with cartridge razors or straight razors would do. These are hypoallergenic and made for people with sensitive skins. No worries there! When done shaving, simply clean these blades by rinsing under water. It’s that simple! There’s a rechargeable battery giving the blades their legs. This Lithium MaxPower battery recharges quickly. I could gauge the level of the battery thanks to an LED indicator. It flashes red when you need to recharge the battery and green when recharging is complete. Men should feel at ease knowing that MANGROOMER ULTIMATE PRO is versatile. The users can use it while it’s plugged in. Feel free to shave cordless as well. Oh, and it’s waterproof. One can go for wet or dry shaving with this little thing. One last bit that impressed me is the way the makers organized everything. The entire package came in a neat travel case. Each attachment had its own storage space inside for safekeeping. You have a wide array of comb sizes to choose from when clipping your hairs on the head. The blades are sharp and can be quickly cleaned after shaving’s done. People can use MANGROOMER ULTIMATE PRO both in cordless state and with cords. Lithium MaxPower battery charges quickly and features a nifty charge indicator LED light. The handle’s easy to grip with a rubber coating and ergonomic form to go well with all hand sizes. According to a few of my friends, the blades jam frequently and require regular maintenance. Choosing a suitable shaver/trimmer is like walking alone in the woods in the middle of the night. It’s never easy. This guide from me will serve as a beacon of light for you. While researching, keep an eye on these factors and indicators to make the best choice possible. Deciding Between the Types: Foil or Rotary? There are two types of shavers available for people these days. The foil-style shavers and the rotary kind. The foil shavers are ones that have an extended piece covering the blades. This allows us to remain safe from accidental cuts. The blades can cut hair stubbles through the holes in the extended piece. Rotary shavers are a bit complicated. There’s a protective layer on top. The blades or cutters lay beneath. These blades are circular. They rotate and cut hair. People who have short hair on their heads should go for the foil shavers. Dudes with long hairs are better off with the rotary shavers on my list. Shaving heads or simply trimming the hair can be a chore if you can’t grip the shaver properly. That’s why an ergonomic handle is needed in such machines. Look for machines with rubber grips. These will allow you to shave your skull while taking a shower. The Non-Slip grip helps. There are products that feature an extension bar as well. Attach the extension bar to the shaver and you’ll be able to hold it in any way you please. This bar allows people a greater comfort when shaving front, back, the two sides of their heads. Users can go with the feel while relaxing their hands a bit. Quality of the Blades Matters Too! By “Quality” I don’t simply mean how sharp the blades are. Of course, sharpness matters. Yet, a quality blade needs to be curved. When we’re shaving our heads, tools with curved blades cover more surface than the normal variations do. Curved blades adapt better to the contours of our heads as well. Be sure to check if the machine has “Self Cleaning” blades or not. Self-cleaning blades stay sharp for a long period of time. Here, maintenance is not that big of a concern. All one needs to do is to rinse these blades under a running tap or faucet water and they’ll be fine. Make sure to oil the blades before and after shaving as well. Oil lessens the friction and contributes to the longevity of your tool. Which Shaving Mode Do You Prefer? Seek out the answer to this question. Are you fond of dry shaving and occasional touchups when it comes to hair on your head? Or are you a “Wet” shaving enthusiast and prefer to shave your head while taking a long shower? Different shaving machines cater to different people. You might find one or two dry shaving tools on my list as well. These are quite good yet can’t withstand water for too long. There are devices that go with wet shaving as well. Water resistance ratings for these things are on the higher side. Wet shavers are easier to maintain than their cousins. Does Your Shaving Kit Have Combs? Combs in shaving kits are good additions. Generally, we associate combs with trimmers and beard shaving tools. But don’t forget, head shavers require to size up the hair at first too. Best Head Shaver models can have as many as ten different combs with them. Each of these combs helps to trim down your hair to a specific size before you shave it off. Not feeling like going bald this time? You can cut your hair short for now and decide later. With these combs, a user gets access to different hairstyling options. Very often, we don’t give a thought to this aspect at all. Whether cordless or corded, any machine works for users. Well, it shouldn’t. Consider what options you have. Buying a corded head shaver means you won’t be able to run this thing where there’s no power. Some machines don’t run well outside the USA. Cordless machines are great as you recharge the batteries and are ready to go. One charge takes you through two or more shaves. Quick Charge system is a blessing as well. Yet, there might be a tradeoff. These machines take a long time to get recharged (sometimes its 4 hours). If I were you, I’d go for a skull shaver that’s great with power cords AND functions well while cordless. Striking a balance between the two is important. While you are at it, make sure the device you choose has an indicator. It’ll help you in getting an idea about the state of the battery. Indicators take the guesswork out of the equation. I don’t talk about money a lot. Money should never be an obstacle when buying good products. But considering how much to spend is important. Head Shavers are available in all price ranges. A quality shaver can cost you between $40 to $400 (hypothetically). Select yours carefully. I won’t advise you to go for high-priced models in particular. But buying a cheap device won’t get you things like replacement blades or a good warranty. Mid to High-End products come with the superior build quality and additional attachments like blades, combs, and cleaning pods. Products from reputed brands are great. Quality isn’t a problem for these guys. But these devices will cost people a good amount of money. Shaving our heads is no longer a matter of disgrace these days. Going bald is a style statement. So, why not get a machine that can handle the job gracefully? The best head shaver is one that’s stylish, gives you options on how to go about the process, and is compatible with your skin type. It should not be like the old car that starts and stops multiple times on the road. Hopefully, my collection of razors from different brands will satisfy young and old alike. If you ask me, moving the Wahl trimmers across my head is the same as driving the Mercedes. These things don’t compromise with the hairs on my head. Wahl is gentle with the skin and gives users multiple options while shaving. Remington HC4250 comes close but recharge time is a bummer. If you don’t like the products, feel free to do your own research following the buying instructions of mine.